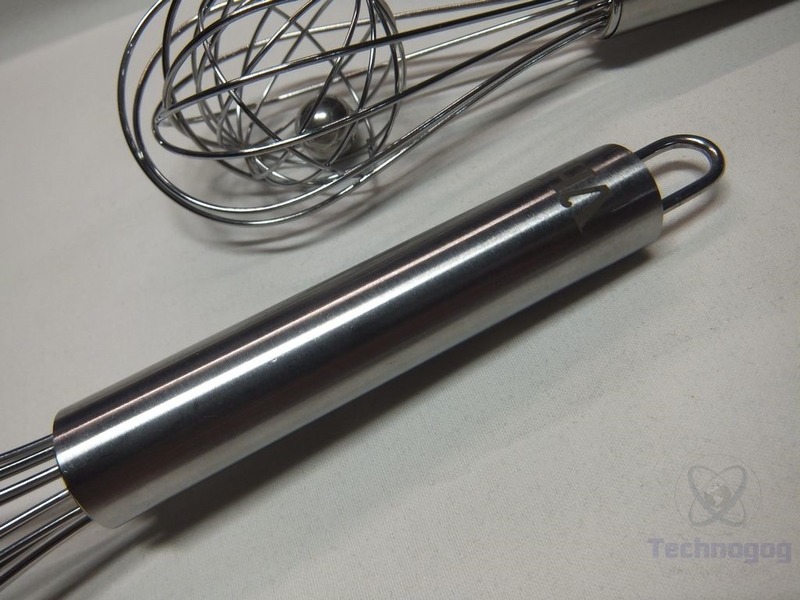 OPTIMAL WHISKING – The “cage” with the inner metal ball gives you an extremely thorough blending of thin mixtures, ensuring a smooth, silky texture every time! SO MANY USES – Mix luscious creamy soups, puddings from scratch, whipped cream, and pancake batter. Make wonderfully emulsified vinaigrettes; Whisk dry ingredients; Make any type of sauce like hollandaise or sabayon, or gravies; Scrape up the bits and pieces at the bottom of a pan when making gravies and sauces for extra flavor; Use to get the fluffiest eggs imaginable – more air equals more fluff! 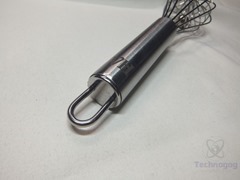 NOT INTENDED FOR THICK BATTERS – This whisk is great because of the added number of wires and ball which provides for better whisking (more aeration). Unfortunately, because of all the extra wires, this whisk is not appropriate for whisking anything thick like cake batters or mayo. BEAUTIFUL & EASY TO CLEAN – DURABLE STAINLESS STEEL & DISHWASHER SAFE – Wires & handle: S/S 430; Ball: S/S 201. Presents with elegance and makes for a modern, attractive addition to your kitchen. 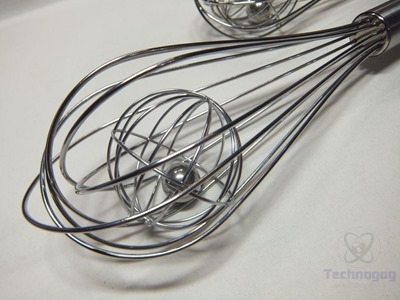 Made of durable stainless steel, this modern, beautiful whisk is a welcome addition to any kitchen design. Finally the cage and ball can be removed for easier cleaning! The packaging is just a plastic bag and the whisks each have tags on them. 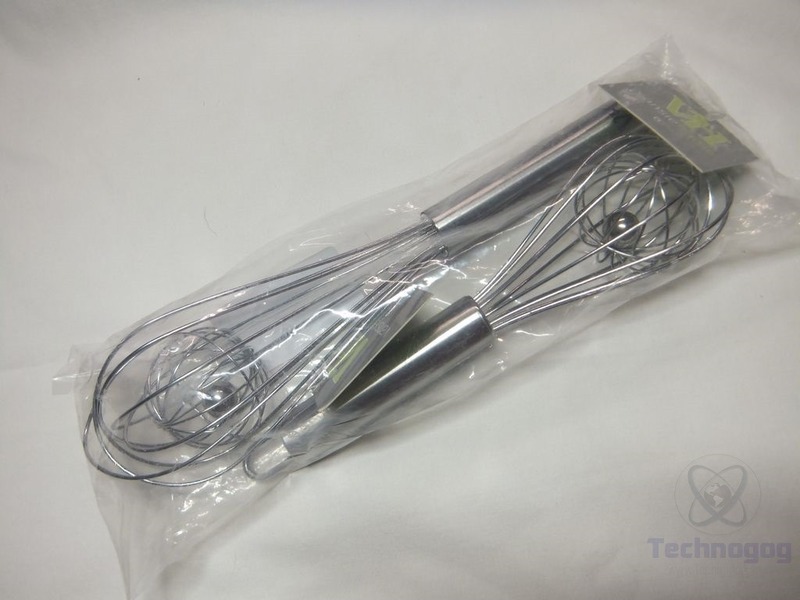 In this pack you get two sizes of whisks, 8 inch and 10 inch and they’re made of stainless steel. 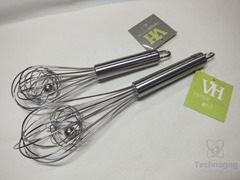 The handles of the whisks are nice and thick for a good comfortable grip and they have the VansieHome logo on them. The ends have rings so you can hang the whisks out of the way as you just don’t want to toss these in a drawer. 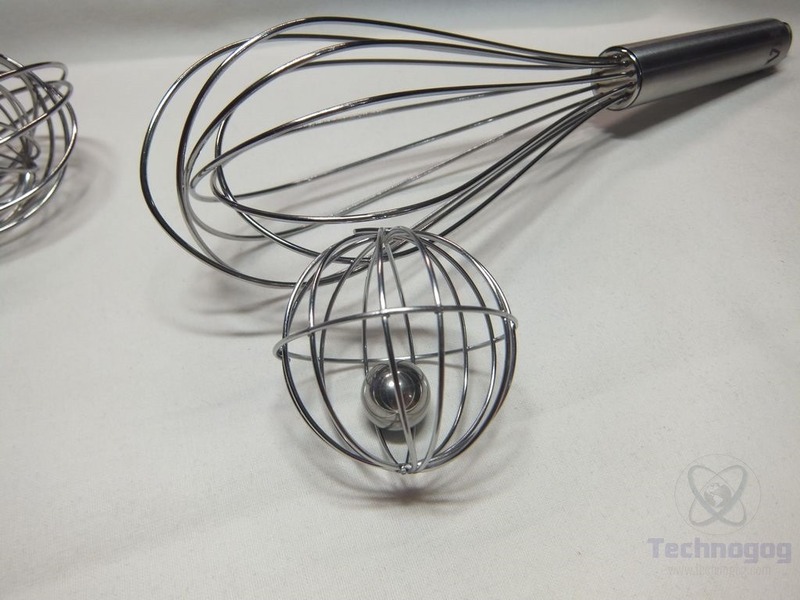 Probably the first thing you’ll notice about these whisks is they look odd, they have a stainless steel ball inside of a cage inside of the whisk. The idea is to help aerate what you’re whisking, it would be perfect for making hollandaise sauce or homemade whip cream for sure. The whisks aren’t very sturdy, the wire part I mean, they’re not meant to mix or whisk heavy or thick things, they’re very much meant for light sauces and creams. A neat little bonus I guess is that you can easily remove the ball and cage from the whisk to make it easier to clean. The VansieHome whisks really do seem to work well at aerating the liquids you’re whisking, it does make it easier and quicker to make things like whipped cream with these whisks. The whisks are only for light things and not mixing heavy sauces and batters, which is fine, I always say you have to use the right tool for the job, and these are a tool for a specific job and at that job they work well. 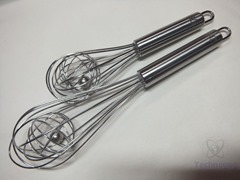 I found these whisks work well and they’re easy to use, and my kids like them as well.